We are excited to offer this special Mother's Day Tea Party at the gorgeous Ponderosa Classroom in downtown Salem! Come join us for a sweet afternoon of tea-time and flower arranging with the loveliest Spring flowers. 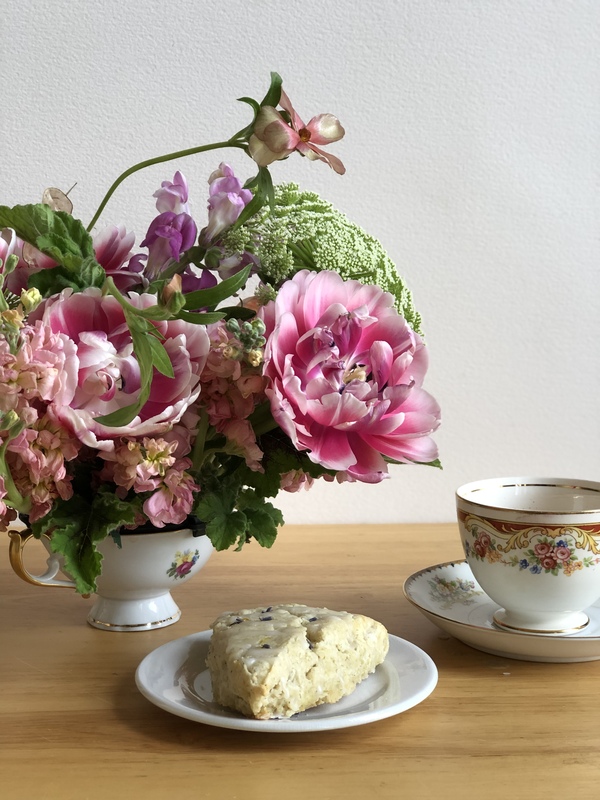 During the class I will demonstrate how to make an enchanting arrangement that features a vintage tea cup as the vessel, and then you will create your very own! All necessary tools and materials will be provided during the class, including a beautiful selection of flowers. At the end of the class, guests will leave with a vintage tea cup arrangement (including the tea cup), and a handy how-to guide and special floristry tool that will make your future flower arranging fun and easy. Treat that special woman in your life to this unique Mother's Day experience, or just bring yourself!